This study explores the physical, chemical and culinary differences between dairy products from the milk of pastured cows versus those made with milk from conventionally fed cows. Significant differences in flavor, texture, appearance, and culinary performance have been documented in the first three years of the study. The grass-based dairy products have a yellower color, a softer, creamier texture, and a flavor that has been described as ‘complex’. We are assessing which products are the best fit for these unique characteristics and, in this last year of the study, will generate recommendations for dairy processors on the use of grass-based milk for value-added dairy products. This project engages dairy processors, farmers and chefs in evaluating grass-fed milk for specialty dairy products. Specific goals and related activities are to 1) define the unique flavors & processing qualities of grass-fed milk and document seasonal variations, 2) assess the value of these unique characteristics for developing specialty dairy products, 3) determine the feasibility of establishing a premium market for grass-fed milk based on these qualities. Because our analysis of the dairy products cost less than expected, we spent the third year of the project conducting an additional year of data collection and pushed back most of the outreach activities into the fourth year. Thus, most of our focus in 2011 remained on objectives one and two above. Our research team includes Dr. Scott Rankin, UW Food Science Department Dairy Product Specialist; Dr. Dave Combs, UW Dairy Scientist; Dr. Ken Albrecht, UW Agronomist; Bob Wills, Master Cheesemaker and owner of Cedar Grove Cheese; Bert Paris, grass-based dairy farmer and co-owner of Edelweiss Creamery and Dairy Graziers Cooperative; Mike Gingrich, grass-based dairy farmer and co-owner of Uplands Cheese Company; Jack Kaestner, Executive Chef at Oconomowoc Lake Club, Leah Caplan, Executive Chef for Metcalf’s Sentry grocery store in Madison, and Laura Paine, Grazing specialist for DATCP and project coordinator. The project team met on 1/26/2011, 6/17/11, 7/27/11, 9/27/11 to monitor progress of the research and to assess results. We met after each milk collection/product testing cycle, plus a smaller group of us met several additional times to plan events and/or evaluate data. In 2011, we partnered with the WI Dairy Business Innovation Center to conduct two activities intended to contribute to assessment of the value of grass-based milk for value added products. 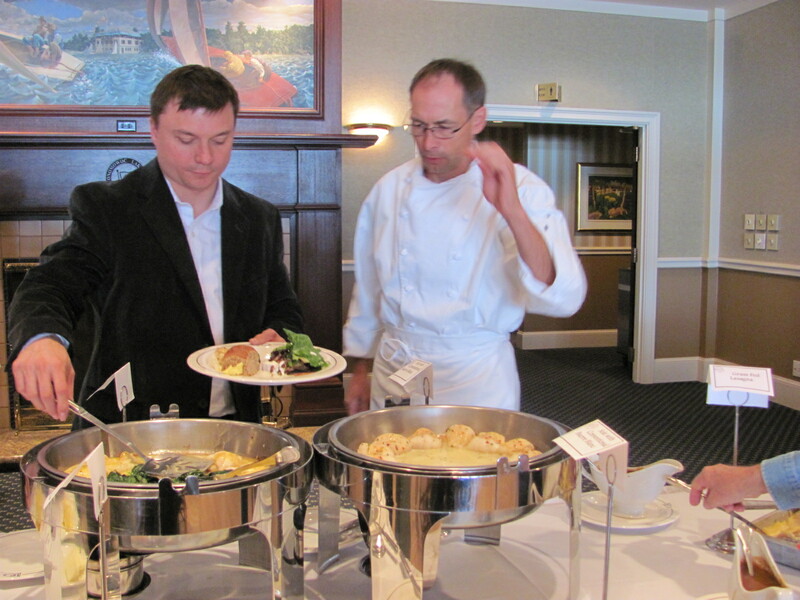 The first was a focus group conducted by Ady Voltedge, a consumer research firm in Madison, WI. Their report is attached at the end of this report. The second event was a ‘discovery session’ facilitated by DBIC consultant, Jim Gage. This all day workshop was attended by an array of invited panelists and participants representing the spectrum of the dairy value chain including farmers, processors, retailers, distributors, and chefs. Results of this session are being summarized along with other, similar materials collected during the course of the research. This summary will be finalized in 2012. This information will help us address our third objective, to determine the feasibility of establishing a premium market for grass-fed milk based on these qualities. We continue to find that the chemistry data is not as clear-cut as we had expected. Fatty acid profiles are not significantly different among the samples and no single constituent seems to stand out as being responsible for the flavor, color and texture differences we’re observing. In 2012, we plan to dig deeper into these data and compare our results with those of other, similar studies. We conducted a formal focus group on June 27th in cooperation with Janet Ady from Voltedge in Madison. The company uses a pool of consumer focus group panelists and was able to select people most likely to be consumers of this type of product. The goal was to assess the positioning of grass-based products (e.g. what marketing messages and images resonate with consumers) and to assess consumer response to various grass-based dairy products in comparison with conventional ones. Products tested include fluid milk, salted and unsalted butter, Muenster cheese, Emmentaler cheese, and noodles in brown butter. Results are attached to this report. Highlights include a rating of 4.9 out of five for the pasture-grazed product concept, participants preferred the phrase ‘pasture grazed’ to ‘grass-fed’ to describe these products, and most of the ‘pasture grazed’ products tasted were rated higher than the comparable conventional products and higher than the averages recorded from previous dairy focus groups. Our observations continue to support the notion that the unique characteristics of grass-based products are probably suited to some products and not others. In the final year of the project, we will continue to work on generating recommendations for the best uses of grass-based milk in value added products. 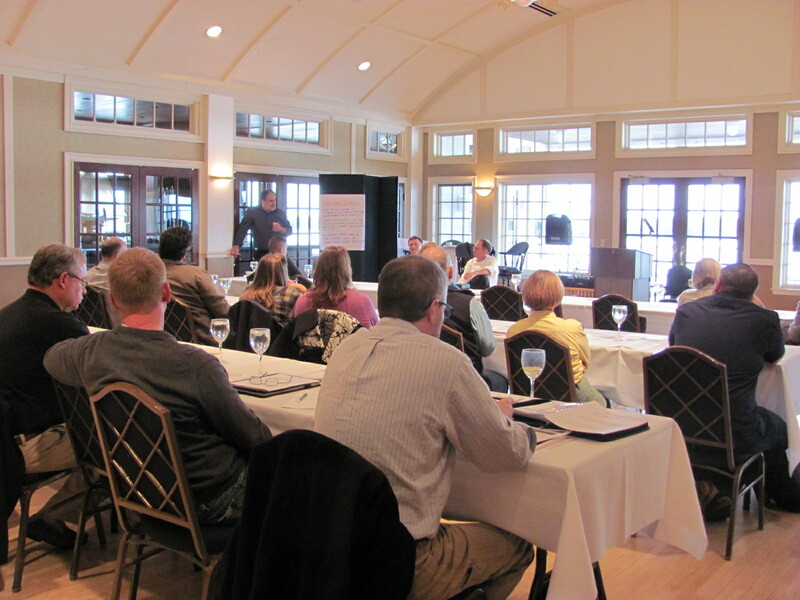 We conducted a ‘discovery session’ on grass-based dairy on October 18th in Oconomowoc, WI. About 25 people attended including retailers, chefs, distributors, processors, and others. The participants were guided through a series of discussions on such topics of consumer perspectives, market perspectives, development of a grass-based brand, and purchasing grass-based dairy products. A final session at the end of the day included a round-robin of comments on how to move the industry forward. The results of this discussion will be integrated into a final report and recommendations on market development for grass-based dairy products. One of the highlights of the year was completion of a 13 minute video summarizing the research we’ve done and the development of the grass-based (or pasture-grazed) dairy industry to date. The video includes segments with Bert Paris, from Edelweiss Graziers Cooperative and his cattle, Mike Gingrich talking about his award winning grass-based cheese called Pleasant Ridge Reserve, Bob Wills, WI cheese-maker who’s worked with grass-based cheeses for years, and Chefs Leah Caplan and Jack Kaestner talking about and working with grass-based products in cooking. We have duplicated the video and have 100 DVDs available to distribute. The video is also up on YouTube on a temporary link: http://www.youtube.com/watch?v=O6-Y-E5UD0o and will eventually be put on on DATCP’s YouTube channel. We plan to issue a press release announcing the video and the final report. We continue to gain understanding of the unique qualities of grass-based milk and in our final year, we plan to summarize all of these results in a final report. We continue to have a great deal of interest in the project and increasing awareness among processors of the opportunities and appropriate uses for grass-fed milk. Our publication, Grass-Based Dairy Products: Challenges and Opportunities (http://www.cias.wisc.edu/economics/grass-based-dairy-products-challenges-and-opportunities/) continues to generate a great deal of interest in the dairy processing community and we had tripled the number of attendees at our ‘tasting event’ in 2010. Our third objective, developing a strategy for establishment of a premium market for grass-fed milk, will be summarized in the final report. • Exhibiting and speaking at public events including the Wisconsin Restaurant Expo (March 12-14 in Milwaukee) and the American Cheese Society meeting in Madison in 2013. • Conducting a cheese-making workshop with chefs and specialty cheese-makers at the new Clock Shadow Creamery in downtown Milwaukee in September 2012. This workshop will involve making two cheeses with grass-fed and conventional milk side by side, including Camembert and a hard cheese such as Gouda. We plan to invite chefs from Chicago and WI metropolitan areas, plus cheese-makers who either currently use grass-based milk or ones who are interested in working with it.